We’ve all seen the recent reports of the off-the-charts air pollution in China. The horrific air quality has prompted many Chinese to wear air pollution masks at all times and there are even mobile apps to alert people to the harsh air quality. 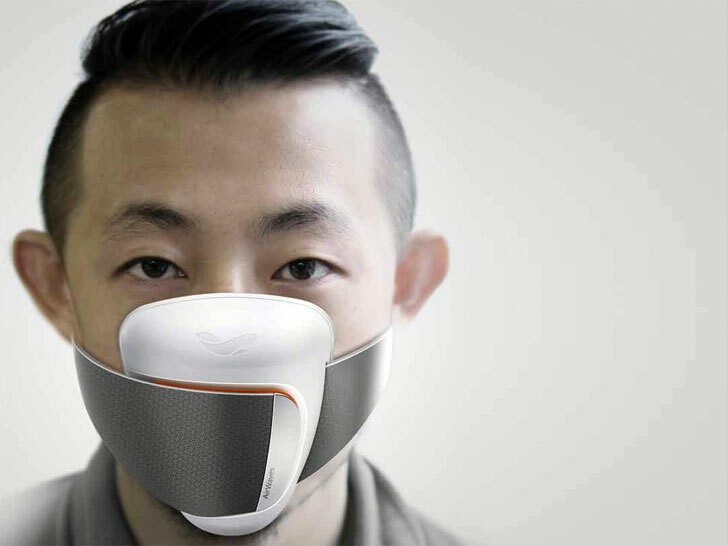 As part on an international in-house competition, the Shanghai office of Frog Design set about to combine the two concepts into a smart device – the AirWaves mask, a pollution air mask that monitors the air quality in real time and shares the data to so everyone could see it. The combo mask and mobile app could alert people to hazardous conditions while improving monitoring for the country overall. Eight of Frog Design’s international offices all worked to dream up the future of wearable technology. What with the hazardous air pollution levels in recent months in China, the Shanghai office set to create a device that could help people and improve date monitoring. The AirWaves mask is a contemporary-styled pollution mask with the addition of particle sensors. Not only does the advanced mask filter our more pollution, but it also keeps track of the air-quality levels in real time. Connected with the wearer’s mobile device, the mask shares the data with the entire network. 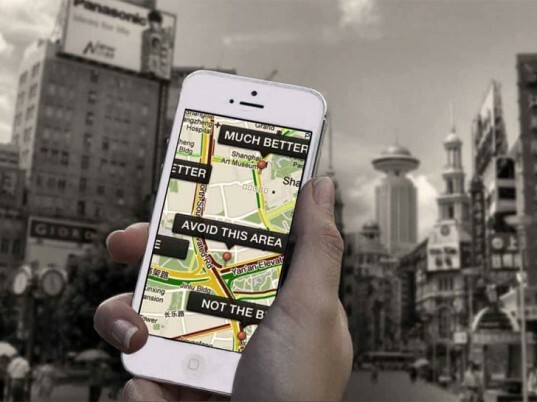 Users can access maps for their neighborhood and city to check levels for places they want or need to be. Having this information can help residents avoid particularly hazardous areas. The data can also be used to track and improve air quality over time on a local and macro level. Wearers can even monitor the air quality in their home by using the mask. The Shanghai office thinks that this system will also help improve trust of the Chinese in the data of the air quality through the collection of data from actual individuals rather than some “faceless” data source. This device does not yet exist, but given the state of the air quality in China, it’s probably not too far away from being a real product. We've all seen the recent reports of the off-the-charts air pollution in China. The horrific air quality has prompted many Chinese to wear air pollution masks at all times and there are even mobile apps to alert people to the harsh air quality. As part on an international in-house competition, the Shanghai office of Frog Design set about to combine the two concepts into a smart device - the AirWaves mask, a pollution air mask that monitors the air quality in real time and shares the data to so everyone could see it. The combo mask and mobile app could alert people to hazardous conditions while improving monitoring for the country overall.